A remarkable display from the young violinist: clean, clear lines, a fleet, liquid grasp of structure and nuanced appreciation of detailing ... undoubtedly a name to watch. 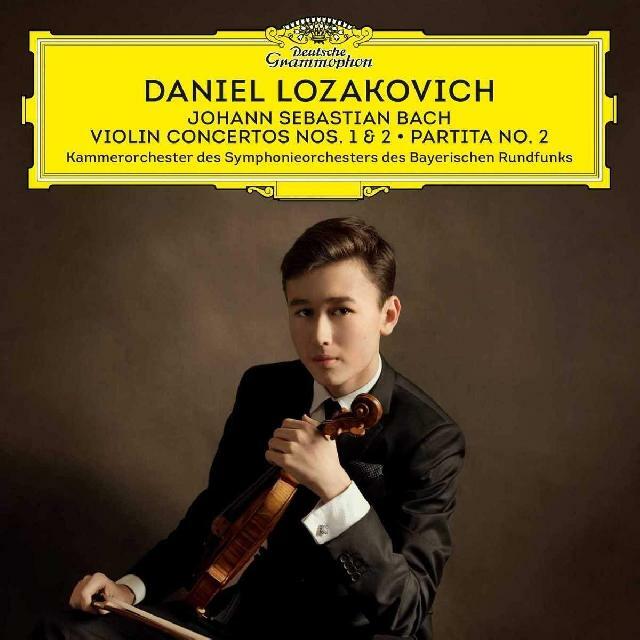 Seventeen-year-old Swedish virtuoso Daniel Lozakovich makes an accomplished debut on the Yellow Label with intelligently chosen repertoire in performances that seem far beyond his tender years. There’s a measured, meticulously precise quality to his playing that misses some of the flair and unbridled vitality of, say, Menuhin (to whom he is regularly likened) in the two Violin Concertos. But, controlled and manicured though it sounds, it’s nonetheless a remarkable display from the young violinist: clean, clear lines, a fleet, liquid grasp of structure and nuanced appreciation of detailing all combine to provide fresh, buoyant, eminently civilised performances missing only that last bit of relish and bite – even with supple, idiomatic support from the Chamber Orchestra of the Bavarian Radio Symphony. More immediately persuasive is the Second Solo Partita, where Lozakovich dexterously negotiates the demands of its various dances to deliver a now majestic, now dazzling Chaconne finale with spellbinding poetry and poise. Undoubtedly a name to watch.